The family run business consists of three farms, covering just over 600 acres with a mix of owned and rented land. 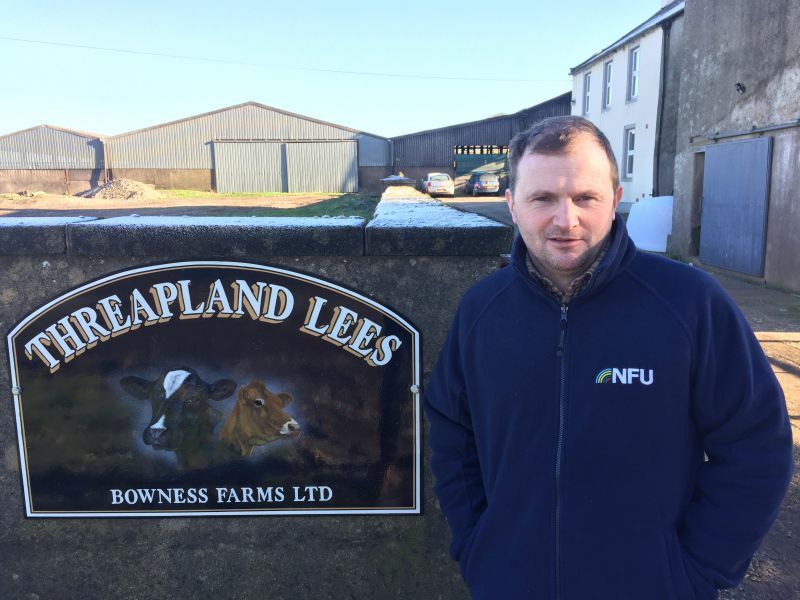 Current NFU Cumbria County Chairman David Raine of Old Parks in Kirkoswald near Penrith, has agreed to do another year for the organisation in order to assist Mr Bowness. And despite being an NFU member for many years, he has not held any official positions or sat on any boards for the union until now. Before buying Threapland Lees 25 years ago, Mr Bowness was a tenant on a mixed farm in south Cumbria near to Ulverston. When he and his wife Tina bought the farm, they knew there was a family connection but had not realised that the holding had been owned by the Bowness family since 1881. There is a plaque on the farm confirming this fact. The farm changed hands several times after that before eventually coming back into the Bowness family. Mr Bowness said: “I have a working knowledge of farming in both Cumberland and Westmorland. I’m an owner occupier and have also been a tenant.